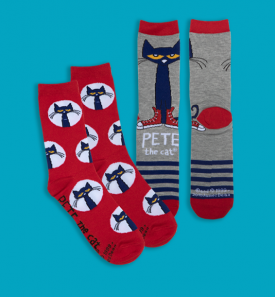 Creative and Whimsical Librarian, Teacher, Book Lover Apparel & Products — Including T-Shirts, Polos, Jerseys, Jackets, Hoodies, Jewelry, Puppets, Dolls, Socks, Aprons and more. 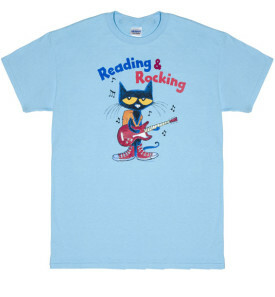 Love Pete the Cat? 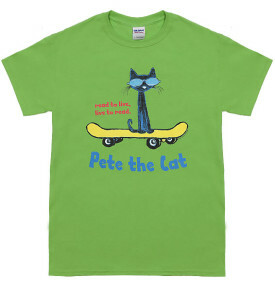 We have Pete the Cat T-Shirts for Adults and Youth, plus Pete the Cat Dolls everyone loves. Can’t get enough of Mo Willem’s amazing stories? 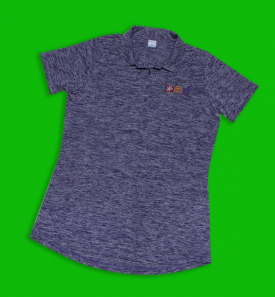 Check out our Piggie & Elephant t-shirt, or soft, plush doll; say “Hello” to Mo’s Talking Pigeon Doll. 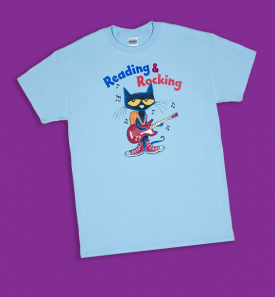 We’ve been in business for over 20 years making librarians, teachers and book lovers smile with our colorful, book-centered apparel and products. Learn more about us. 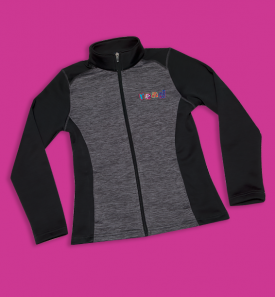 We offer great flat-rate shipping so you can order everything you need (and want) and have it sent for one low price. Want to know when we get something new? Join our email list. Please contact us if you have questions or need anything. We are passionate about offering terrific book-centered Librarian, Teacher, Book Lover Apparel & Products, and appreciate your business. Happy shopping and keep reading! I looooved my shirt from last year, I can’t wait to get a new one for this year! – H.C.